I have always enjoyed the outdoors and natural world and earned my BA in Zoology from the University of Connecticut. After serving in the U.S. Army for 6 years, I got an MBA from the University of Missouri and spent most of my career in hospital/health care planning, marketing, research, and disaster preparation. Although I love living in California, I was born in Connecticut and have lived in 8 different states. Between business and travel, I’ve visited 46 states and nine other countries. My wife and I started talking about the idea of co-housing with friends 30 years ago before we knew it had a name. After living in 3 single-family homes, we jumped at the opportunity to join the co-housing community here at Yulupa. I especially like the intergeneration experience that we have here. Watching the young kids gain confidence and have all the “aunts and uncles” to help them grow is unique and rewarding. Monthly workdays, community meals and activities provide opportunities to get to know our neighbors better than anywhere else I have lived. I serve on the garden committee, which has made improvements every year. I enjoy the sharing that characterizes our community. We ask one another for things we need to borrow and share many types of tools and supplies and we are really there for one another when someone needs help. Learning to solve problems in community can sometimes be frustrating, but watching our community grow provides great rewards. I wish more people could enjoy living in a cohousing community. A native Californian living in Sonoma County since 1981, I joined YCH in its first year. Professionally, I have worked in the world of education producing university catalogs and in the toy industry interfacing with manufacturers in Europe and Asia on safety issues. At Yulupa I handle the many inquiries we receive from people who want to visit and get on our wait list. I have been surprised at the rate of turnover in this community; openings come up frequently. So if you are looking to join us, come on a tour and learn more! (Every First Sunday at 1:30 p.m.). “ My name is Noah, I am about to go to kindergarten and I am going to speak Spanish there. Now I am going to talk about my baby brother Ezra. He is only 2 1/2 but I am 5 1/2. Rachel came to Santa Rosa to do her Residency in Family Medicine in 2008 and married Marc in 2012. 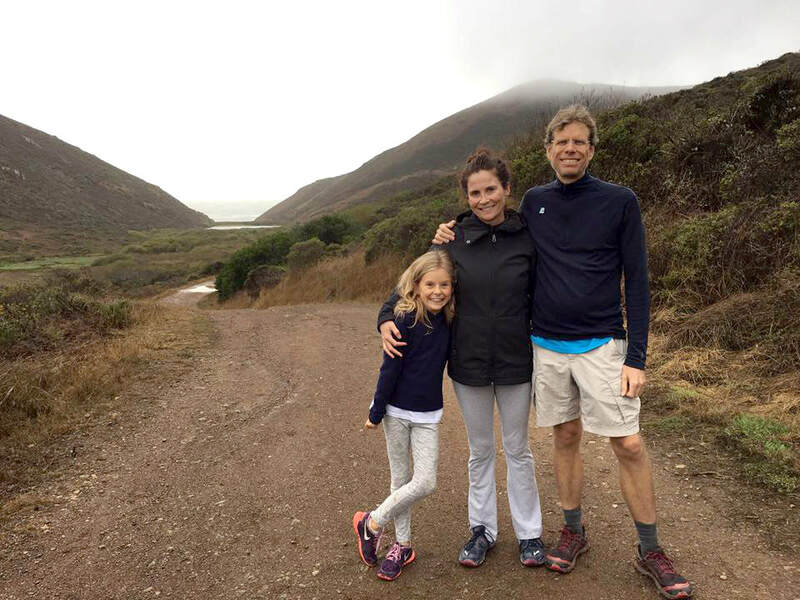 She is now an associate director of the new Family Medicine Residency program at Kaiser; Marc does his winemaking at Round Pond Winery and has his own wine label: Orpheus Wines. Susan, who lives next door with Marco, came out in 2011 to house sit for neighbors Alan and Linda and care for Charlie the German Shepard, and has been here ever since. One of the most beautiful characteristics of living here (this is Susan speaking) is the community of children Noah and Ezra have grown with. The children exemplify values of inclusion, fun, caring, honesty, communication, honoring boundaries and differences, and taking care of each other to name just a few! I recently retired from the VF Corporation after 36 years of doing sales, marketing and replenishment for the Wrangler Jeans division of the company. I have a daughter 26 . I am very involved in a community based project called the Southeast Greenway which will hold my interest for many years as planning land use for the old Highway 12 extension evolves. I also work with a group called the Santa Rosa Summit to build local resiliency by organizing and strengthening neighborhoods. I love to walk, hike, camp, cook and travel. I've made it to every continent except Antarctica. Music is a big part of my life. I love rock, jazz, and classical, and play guitar--mostly self taught. I love cats especially and volunteer at the Humane Society. I graduated from Skyline Junior College, and am finishing studies in graphic arts at SR Junior College where they have an excellent department for learning disabilities. I enjoy lifting weights, running and hiking, especially in nearby Annadel State Park. I have a 2nd degree black belt in Karate and am currently training in Aikido. I have some dysphasia – difficulty processing receptive and expressive language – as a result of Asperger’s (high functioning autism). Because of this, it also takes me longer to establish relationships. Therefore, I like making new friends and living in a bigger immediate community group. I participate in committees and meetings to the best of my ability--I just need more time to pick up on the information. ​After eight years of living bi-continentally between Italy and California, I have chosen Yulupa as my new home (05/2013). Why does cohousing attract me? I am deeply interested in living in a community where we unite as a group and collaborate together while at the same time individuality and diversity are respected and valued. I am interested in living with like-minded souls who have an interest in helping their community and the world at large. ​Originally from Orange County, Chip and Jessica escaped north to the wonders of Sonoma County over 2 decades ago. 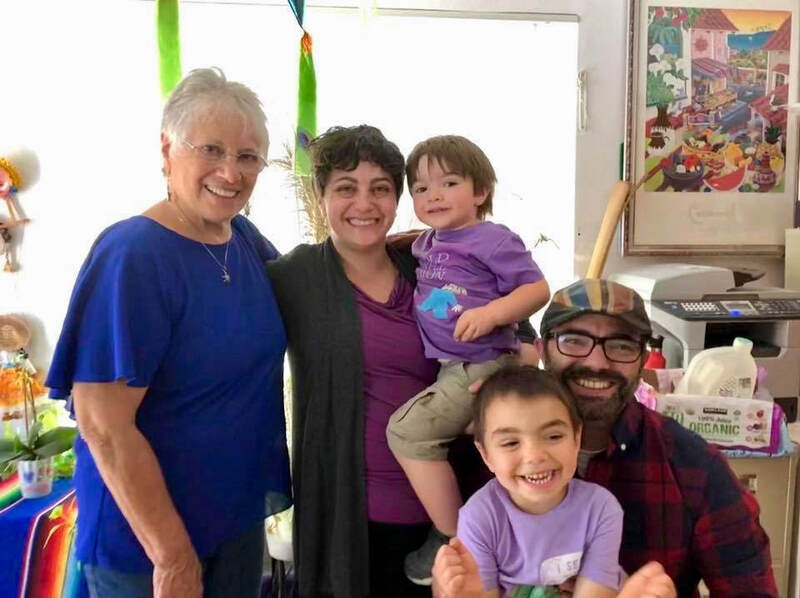 They tried living all over Sonoma County and finally settled into Yulupa CoHousing as one of the first members to move in once it was completed, Fourth of July weekend 2005. Man was it hot that weekend! Looking for a small neighborhood where everybody knows their name, it was a great fit. Felix and Freya, then 7 and not yet 3 years old, have blossomed in the community environment Yulupa has provided. 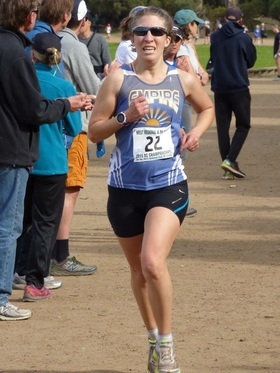 Jessica works as a veterinary technician, she loves to hike the beauty of Sonoma County, hang out at the pool, camp across Northern California and swim laps with Santa Rosa Masters. She also enjoys eating all the abundance of food in this county, hanging out with her animals and going to church. Chip works in sales. He enjoys comic books, video games, gaming in general and sci-fi/fantasy fiction reading. He also enjoys cooking for his family. Felix is finishing high school and plans to attend our local Junior college to start his biology degree. He has been practicing MMA for 10 years now. His love is in animals and nature. He also enjoys comic books, video games, and movies. Freya is now attending high school. She loves to play with all the kids of Yulupa, and to care for the younger children. She always wanted to be the big sister! She loves to create things, art or food; climb things and she tells a great story. Her love is in the ocean and she hopes to be a marine biologist one day. Baby boomer, vintage 1948. Raised by mother and step-father in burb of Chicago, while my heart longed to be on the farm in West Virginia with my dad. Deeply into horses most of my life, but now the horses are retired and I’ve taken to the much more practical bicycle for much of my transportation. Which has led me to civic involvement as a member of Santa Rosa’s city council-appointed Bicycle & Pedestrian Advisory Board. But the main focus of my activism is solving the climate crisis by working with Citizens’ Climate Lobby for Carbon Fee & Dividend legislation. Having lived in collective households for most of my adult life, I was ready for community sans roommates. I was introduced to Yulupa and immediately knew it was where I wanted to be. About the time I moved into Yulupa I started going out with my sweetheart Tom. We were married in our Yulupa living room by a Yulupa neighbor. I'm the happiest I’ve ever been---great community and great home life. Barbara at her son's wedding, looking fabulous! I joined Yulupa in 2007 and have lived in various intentional communities most of my adult life. Yulupa offers me my own private living space as well as knowing my neighbors. 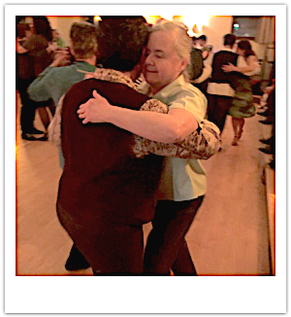 I am semi-retired, an avid Argentine tango dancer, and dabble in art and languages. Greatest state in the land of the free. Actually, I was born Feb 9, 1944 in Louisville KY. My family moved to Ojai, CA when I was 9. When we crossed into California, we asked our mother "Where is Roy Rogers?" Went through high school in Ojai. Went to UCLA on a Navy ROTC scholarship. Dropped out my senior year, but I never did drugs, if that's what you're thinking. 2 years active duty with the Navy 1966-68, no fun. Lived and worked various jobs in the East Bay. Met my first wife working for McGovern in 1972. Read Mother Earth News, Organic Gardening, etc. ​ Moved to Sebastopol 1975 to a 2-acre farm with old rickety buildings, old apple trees. Called it Me Gusta organic farm. Milked up to 25 goats, while working at the post office in Santa Rosa. Gave up the farm and the marriage 1979. Graduated 1979 from Sonoma State, solar energy. Installed solar hot water systems. Taught a CETA class hands-on solar and carpentry. Met my second wife there. Married 1983. Adopted a brand-new baby boy, 1986. My wife got pregnant and 8 1/2 months later we had a second son. I tried being a middle-school math teacher for 3 years. It was like beating my head against the wall. When I got hired with the City of Santa Rosa in 1990, my wife said "This is your last job." She was right, as always. Divorced 2008. Met Barbara - first date was November 11, 2007. Second date I helped put her refrigerator back together because it had to get moved up the stairs to 1354-D in pieces. Darn narrow staircases. Barbara and I are a great fit. Kind of like Goldilocks - this one is just right. ​I was born in Indiana but have lived in California since 1975, and in Santa Rosa since 1989. 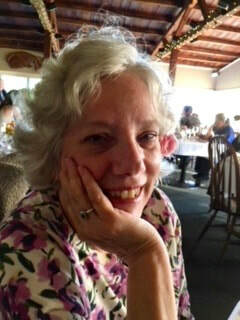 I am happily married to Lori, my partner of 26 years. In June of 2015 I retired from a long career as an elementary school counselor. Now I get to spend more time on my other various interests, which include gardening, hiking, and playing classical music, playing with our cats, and practicing Zen meditation. 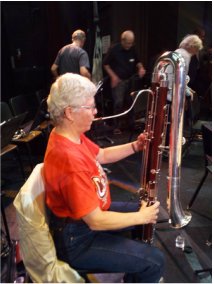 I play bassoon and contra bassoon with a few local community orchestras, as well as, in a woodwind trio. In June of 2014 I was ordained as a Zen Buddhist priest. Most of my practice is centered with groups involved with the Everyday Zen Foundation. Truthfully, I need meditation practice because I am such a nut bucket that I'd be lost without it! I joined the Yulupa community about a year prior to our move-in day in July 2005. While the community has changed quite a bit over the years, I remain passionate about the co-housing way of life. I particularly enjoy conducting monthly tours for those interested in co-housing, and participating on the Membership, Accountability and Orientation teams. In my professional life, I am a psychotherapist in private practice; I also work for Memorial Hospice providing emotional support to patients (and their families) as they face death. In my personal life, I keep close connections with my mom, 5 sibs, 2 daughters and their SO's, and 3 fabulous grandkids. I love being outdoors in nature, writing, and having a spiritual practice (sometimes these all happen at once!). I also enjoy traveling and hanging out with Lee. It's a full and rich life! Marco has been a friend of the Yulupa community since 2007 and moved in with Susan in 2014. Born in Italy near Milan, Marco received an advanced degree in Nuclear Engineering in 1980. In 1982, he was invited by GE in Silicon Valley to collaborate on a nuclear fuel design and began traveling back and forth between the USA and Italy. In 1988 he married a San Franciscan lady and moved full time to the city. As work in his field diminished, he went back to school at UC Berkeley receiving credentials that qualified him for his work as a consultant in Environmental Engineering. In 1990, while learning Tabla, his teacher commented that something seemed 'off' with his right hand movements. He was soon diagnosed with Parkinson's Disease. He continued to work in his career until 2000, however he has never stopped playing music, having adventures and enjoying his life. Marco is now relatively homebound, but being homebound in community means one is not isolated. Cohousing is not only a great way to live while raising a family, it is a great way to ‘age in place’. Marco loves people and conversation on almost any topic, including sharing stories of his many life adventures and interests. Many of his stories and photographs can be found on his Facebook page: Marco Lobascio. Marco has two sons. Susan has been visiting Yulupa since 2007 when her daughter Rachel came to Santa Rosa for her Residency in Family Medicine. In April 2011 she was living with a friend in Salt Lake City when she was invited to house and dog sit for Yulupa residents Alan, Linda and Charlie. Due to an avalanche in the Donner Pass she could not take the train. She thus packed her car with her belongings and announced to her roommate that she likely would not return. And she did not! Another neighbor introduced her to Marco and she lived with him in San Francisco after a summer enjoying housesitting around the county . She moved to Yulupa in June of 2013. 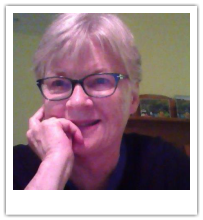 As a Registered Nurse since 1970, Susan has worked in fields from Home Births to Hospice. Currently one of her favorite jobs is as Standardized Patient at Kaiser where her enjoyment of theater and love of education can be acted out! That said, the greatest joys of her life are clearly her grandsons Noah and Ezra and the family who lives next door. The Zwickers joined Yulupa in Winter 2012, when they answered an ad for a rental in the community. And they're so glad they did - it has been a wonderful place to raise their daughters and to be in community themselves. 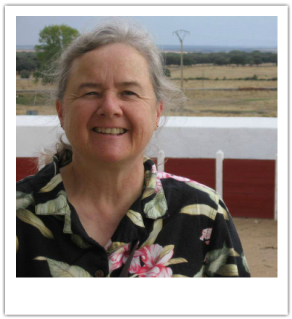 Annemarie, originally from the East Bay Area, is a Waldorf teacher. After some years in New York and Boston, she is happy to have found her way to Sonoma County. 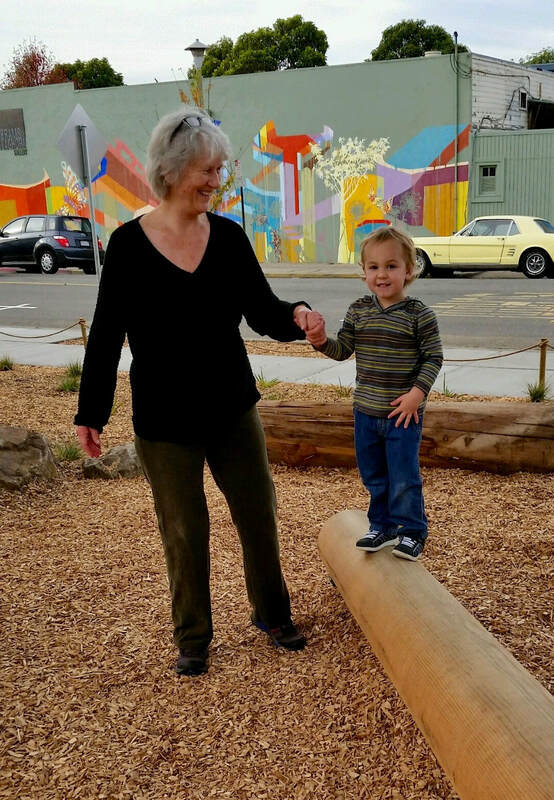 She currently works at Mulberry Classroom, a small, therapeutic Waldorf school in Santa Rosa, where she is learning about the power of developmental movement to help children overcome their challenges. 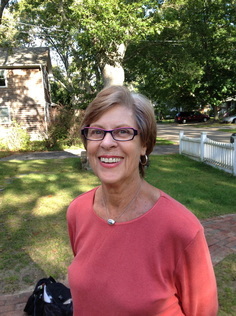 Before that, she spent five years as a class teacher at Summerfield Waldorf School. Besides teaching and learning, her other loves are singing, reading and gardening. She sings with Kindred Voices/Bija Treble Choir (alongside her daughters,) reads piles of books from the library, and grows whatever she can in the garden. David, originally from L.A, moved to Boston to attend Brandeis. Soon after completing his Master's Degree in Critical and Creative Thinking, he met Annemarie at a personal growth workshop. In 2004 they moved to San Francisco. He is definitely the extrovert of the family, and is passionate about nutrition, hospitality, and playing games. He worked as a concierge at the Hilton Sonoma Wine Country until it burned down in the wildfires in 2017, and is now looking for what's next. He enjoys cooking, playing sports, reading fantasy novels, dancing, going to concerts, and leading his original role playing game, Magic Landz. 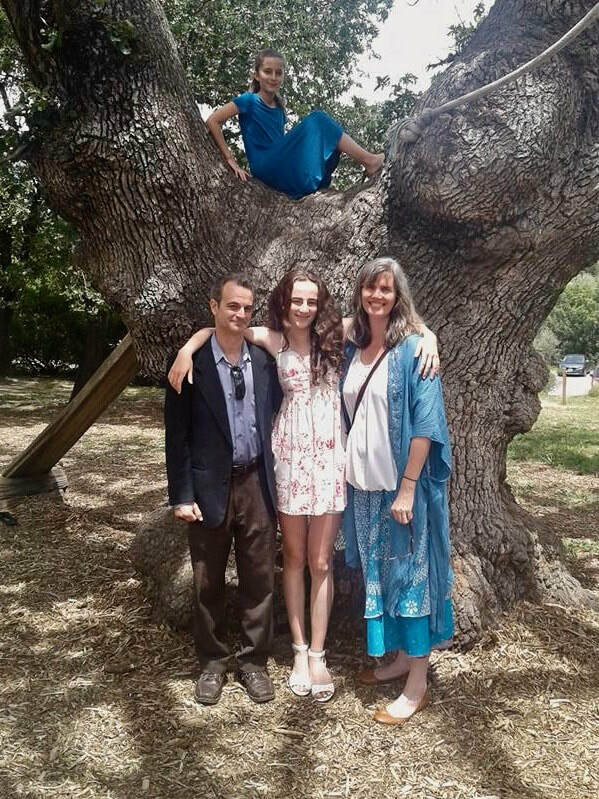 Sophie is entering high school, and is excited to be going to Credo High, a public charter Waldorf high school in Rohnert Park. Sophie is a singer, plays cello and piano, and is learning to play guitar. She loves to dance, and has enjoyed contemporary, ballet and ballroom classes. Even with all these activities, she somehow finds time to read her own piles of books from the library! Emilia is entering 5th grade, and will be starting at Sebastopol Charter School in the Fall. 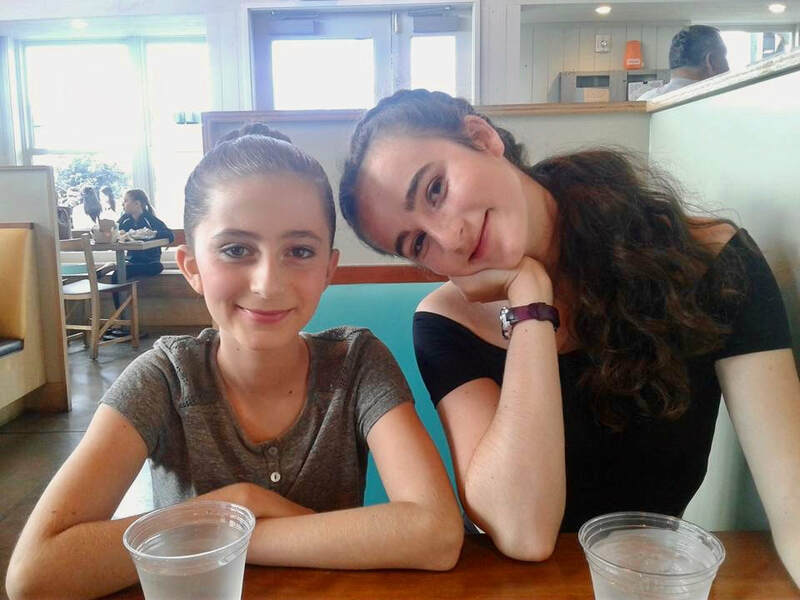 Like her sister and mother, Emilia is an avid reader, and spent the summer reading and re-reading the Harry Potter series, among others. She is the tap dancer of the family, and also sings in the Bija Children's Choir, and plays viola and piano. 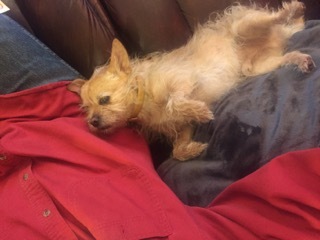 Last but not least is Poppy, who is the family's "Champion Mutt." Poppy loves to sniff around in the garden and dig herself cozy spots to sit under the bushes here at Yulupa. I am drawn to cohousing as a way to live more sustainably and in a community where I know my neighbors. I enjoy chatting in the courtyard, working together in the gardens, and having community meals. My neighbors share their interests, talents and reading lists, enriching my life in so many ways. I love watching the children play together, grow in confidence and mature. YCH is a great place for kids. A few years ago I retired from a career in human services, training and career counseling. However, cohousing has brought so many new opportunities into my life that there is never a dull moment. In 2007 I became a Fellow of the Leadership Institute for Ecology and the Economy. After completing that program I joined a great group of neighbors and community members to work on the Southeast Greenway Campaign, an effort to create an urban Greenway on a 2-mile stretch of open space that was formerly slated for freeway construction. I love traveling with my best friend and partner, Alan, being a grandma, cooking, playing piano and hiking. I’m an active member of City Zen and the Unitarian Universalist Congregation, Santa Rosa. For 19 years, we lived in Glacier Bay and Juneau, Alaska. In 2010, we sold our beloved home to sail and explore from Alaska to Baja Mexico on our sailboat. 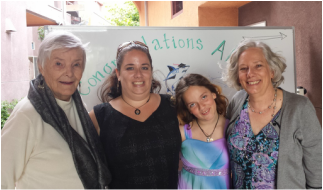 In 2014, we resettled in Santa Rosa where we were excited to buy a home in Yulupa Cohousing. My husband, Jim, and I are both biologists. We met as graduate students at UC Santa Cruz. For 19 years, I taught biology at the University of Alaska Southeast and involved students in my research on harbor seals and Steller sea lions in Glacier Bay National Park. I enjoy writing, hiking, gardening, photography, boating, and volunteering, primarily for Citizens’ Climate Lobby. I’m currently writing a book and am an active member of three memoir-writing groups. Before retiring, Jim was employed by the Biological Division of the US Geological Survey. His research was in Glacier Bay where he led a small team to test the effectiveness of high latitude marine reserves. Jim has always had a passion for sailing and discussing world and national issues. We enjoy taking our boat to the Bay Area to attend interesting lectures and conferences, most often in San Francisco or Berkeley. Interested in combining his scientific expertise with his boating skills, he recently earned his USCG Captain’s license. Jim is also an avid bike-rider, which makes it possible for us to own only one car. During our three years sailing and exploring, our son, Glen (age 10-13), was a crucial crew member. When people assume I home-schooled him, I tell them I bought the course materials and he homeschooled himself. While we were cruising in Mexico, he became proficient in Spanish and an avid surfer. After we moved to Santa Rosa, Glen adjusted to life as a sophomore in public high school. During his senior year, he attended our wonderful Santa Rosa Junior College. He is now a student at UC Santa Barbara majoring in computer science. He has a close circle of friends and enjoys skateboarding, climbing, programming, running, and building things. We so appreciate being part of the Yulupa Cohousing community and how everyone made us feel welcome from the beginning. As a single parent, I became involved in Yulupa to provide a community of support and growth for myself and my son, Nick, an extended family. From working with collectives before, I also liked the idea of learning to live with others, and the challenges that that brings. I work long hours as a family medicine doctor, so home-cooked community meals are a treat! I hopped a freight train when I was younger and helped start a women’s health center in Santa Cruz. 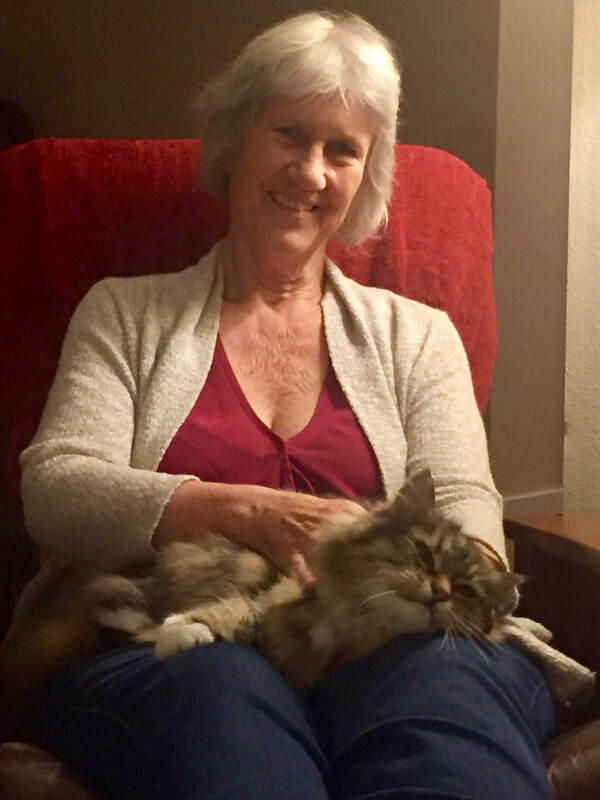 After years of visiting dear friends who are members of the Yulupa co-housing community, and admiring their close connections to neighbors and the local Santa Rosa community, I have just moved here from Ashland, Oregon. Although I am new to co-housing as a resident, I have thought about it for years and even did an academic research paper on the subject in the past; and I’m now looking forward to discovering how I can contribute my gifts here. By profession I’m a clinical psychologist, with a specialty in transpersonal and depth psychology, treatment of trauma, and developmental issues over the lifespan. Ecopsychology and rites of passage are a special interest and focus. I love reading, music, and time in nature; have lived in other cultures and love to travel. 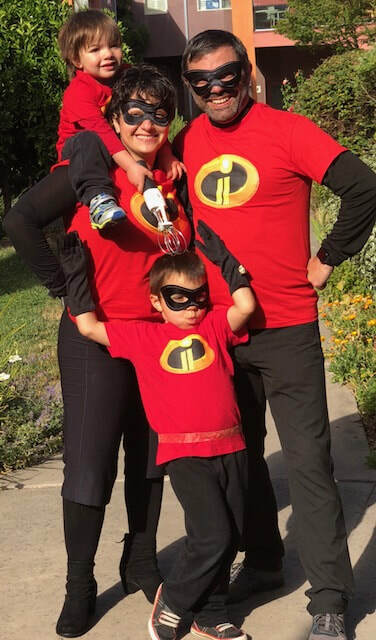 My daughter, son-in-law and grandson live in the Bay Area, and I’m now able to be in closer and more frequent contact with them. 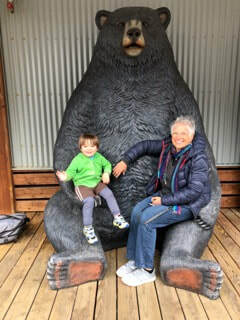 My grandson Kai is especially happy to visit me here, as he loves being able to play freely in the courtyard and in the kid’s playroom in the common house. 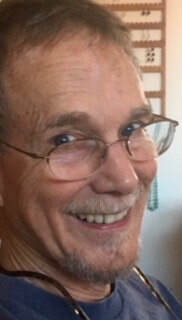 ​Chris has been the ordained minister of the Unitarian Universalist Congregation in Santa Rosa for a decade, and has owned his Yulupa unit since 2007. 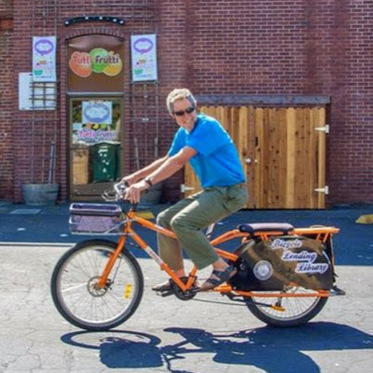 Lisa works for an amazing bike company and is building a practice as a naturopathic doctor. They love rock-and-roll, gardening, spirituality, fine wine, their two cats and their scrappy mutt, and a good laugh, and they love Chris’s son Aaron, a college student, who lives with him when he is in town. Hi, My name is Lee Doan. I'm a retired chiropractor/carpenter/builder. I've been a member of the Yulupa Cohousing community since 2003 (two years before we all moved in). I thought I could do community housing because previously I'd spent time in the Findhorn community in Scotland and enjoyed it immensely. After moving in, I realized community is not a one size fits all proposition. I had to find my own way here. I'm glad to say that after moving temporarily to Hawaii, I did return and I feel like I have found my niche and am very happy here. Although I am retired, I still do volunteer work as a Hospice volunteer, a YWCA volunteer (domestic violence related), and a volunteer in a men's organization that leads groups for domestic violence perpetrators. I like to hike and swim, travel, write, play chess, and hang out with Marie. 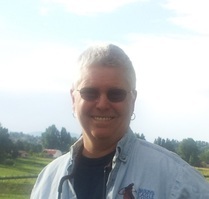 I came into the Yulupa community after seven years in Vermont, living in Burlington Cohousing. Those years confirmed my commitment to locate my life among others in a shared context. Learning to live with and among the ongoing challenges of differences. Additionally, the joys of new friendships and associations. I enjoy “making things” and have spent twelve years as a painter. Primarily in acrylic exploring the interaction and surprises of water and pigment on paper. Also some works in watercolor and oil on stainless steel. The latter because I was struck by the quality of colors when back-lit by the sheen of the steel. I enjoy music, films, reading, assisting friends on their farms (cultivating seeds for summer and winter garden starts), participating in a book club, and working in the gardens of Yulupa. BAGDAD CAFE and BABETTE’S FEAST. I heartily recommend any / all the CD recordings made by the Cypress String Quartet. 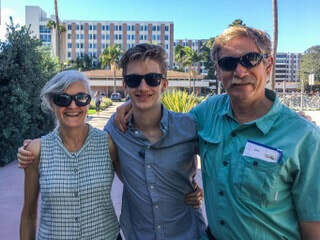 ​My family is most important to me; my two sons 'are the gift that keep on giving.' They've given me two daughters-in-law and five GRAND LOVES. They call me Nana, and melt my heart. 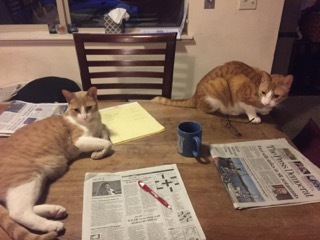 My sons are both high school social studies teachers. Joey, after working 11 years in an inner city High School in Chicago, now works for the Chicago Teachers Union. Matthew teaches AP Economics and Government at Burlingame HS. I am a proud mother. Currently, I work for a small soft ware company here in Santa Rosa, selling soft ware products and consultation services to our clients, Federally Qualified Health Centers, across the country. Our software is designed for Population Health Management and analytical reporting, using data from an Electronic Health Record. It's a fascinating time to be in Health IT. I'm what is called an Informatics Nurse. I'm a very active member of the Center for Spiritual Living. For one thing, I sing with the One Heart Choir, which is awesome and inspiring. There are 85 choir members. We sing at all three services on Sunday mornings 6 or more times a year, and have a concert every year or two. The Brown Family settled in Sonoma County in 2011 and moved into Yulupa Co-housing in 2012. 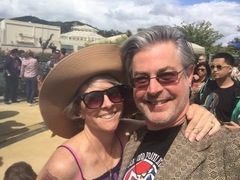 Lance - born and raised in West Palm Beach Florida - met Kathleen - born and raised in Marin County California while they both lived in Southern California. After tying the knot they moved to Vancouver BC and had their daughter Regan Mackenna (who goes by "Mackenna"). Mackenna goes to school at Summerfield Waldorf School and Farm. Always active, her boundless energy propels her through Gymnastics and Softball while practicing cello and Judo grounds her to the earth. Her fur-siblings: Django and Goldie (cats) keep her ever so playful and mischievous. Lance is a Movement-based Pain Therapist and Human Movement Advocate. He helps people move better while sharing an office with Kathleen here in Santa Rosa. 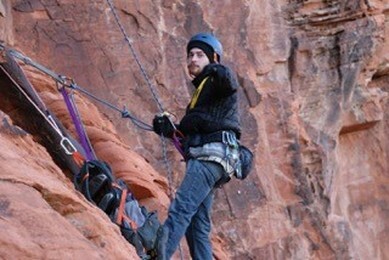 In his spare time, Lance loves to hike in the nearby mountains and rock climb all over California. His latest endeavor is forming a non-profit organization along with two social workers which will offer rock climbing to youth and adults as a metaphor for navigating personal life challenges. 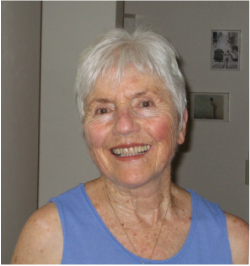 Kathleen is a Canadian trained Non-physician Osteopath at her office "Return To Movement". She also works part time as an emergency department RN at Sutter Santa Rosa Regional Hospital. When not strumming on her ukulele or tap dancing she can be found hiking as well (and maybe rock climbing). She had fun planning a Harry Potter b-day party for Mackenna this last April when she turned 11. The YCH common house was the perfect venue to do so.